There is also the great Ruaha River and many other rivers including the Mwagusi, Mzombe, Jongomero and these save the life line of the park. In the dry season, these rivers become mostly the main sources of water for the wildlife. There are also few natural springs that serve the same purpose. During the dry season, elephants obtain water from dry sand rivers using their front feet as well as trunks. And the remaining waterfalls along the Ruaha River are also important habitat for the crocodiles, Hippos, and the fish. Ruaha National Park has got bimodal pattern of rain forests, the short rain fall season starts in November to February and the long seasons is between March and April. The annual mean rainfall also ranges from 500 to 800mm with the average annual temperatures of about 280c. This area also experiences its dry season from June and October when the temperatures at the headquarters reach 350c. This national park has variety of plants and animals including elephants, Buffaloes, antelopes, wild dogs. This park also serves as water shade both for human beings and the animals. This has made it to be economically important as it supports agricultural activities and also contributes to Hydro Electric power for the country at Kidatu and Mtera dams. Birds in Ruaha National Park. The park is one of Tanzania’s birding paradise with more than 571 bird species and some of them are known to be migrants from within and outside Africa. There are also the migrant birds from Europe, Australia, Asia and Madagascar that have been recorded in the park. The main birds of interest include; the red billed Hornbill which is dominant in the area. There is also the Usangu basin which is one of the country’s important birding area as it was recognised by Bird life international. Even though the birds can be viewed all year round, the best time to view the birds is during the wet season. The national park has also got several historic and cultural sites that offer a visitor a chance to explore the southern Tanzanian tribes. The famous early trade routes that were used by the Arab Caravan crossed here. In the 830, these coastal traders also expanded the routes northwards and in 857 to 58, other European explorers such as Burton and Speke used these routes too. The chief Mkwawa also used the same routes to visit his chiefdom in Sangu and Gogo. The park area is always hailed as the land of the brave Chief Mkwawa who was the chief of the hehe people who also resisted against the German rule in the 19th century. The successful tactics of the hehe made them so famous in the southern Highland of the Tanganyika. These people were dominant around the Ruaha area. More so, some of the cultural sites that were used for the rituals are the Painting rock at Nyanywa, Ganga la Mafunyo”, Nyanywa and Chahe, and the Mkwawa springs that are believed to be used by chief Mkwawa. The other historical sites that are near the park include; Kalenga, Mlambalasi, Lugalo, isimila pillars near the Iringa town, and the God’s bridge etc. The best time to see wildlife in this park is during the dry season of mid-May – December. However, the wet season of January to April is the best for birding, lush scenery and the wild flowers. You can also be able to view the greater Kudu in June which is their breeding season. The park can also be accessed by Air were both scheduled and charter flights in to the park from Arusha, Dodoma, Kigoma and Dar es salaam can be arranged. The parks air strips are located at Jongomero and Msembe. By road, it’s about 30 km drive from Iringa town and 625 km from Dar es Salaam city. This road through the park is also passable throughout the year. The park has also got both private and park owned accommodation facilities. The park facilities include; Self-catering tourist bandas, public Camping sites, special camping sites, hostels, rest houses, Park cottages, Single room with sitting room, Family cottages, Single room without sitting room, and the private facilities. 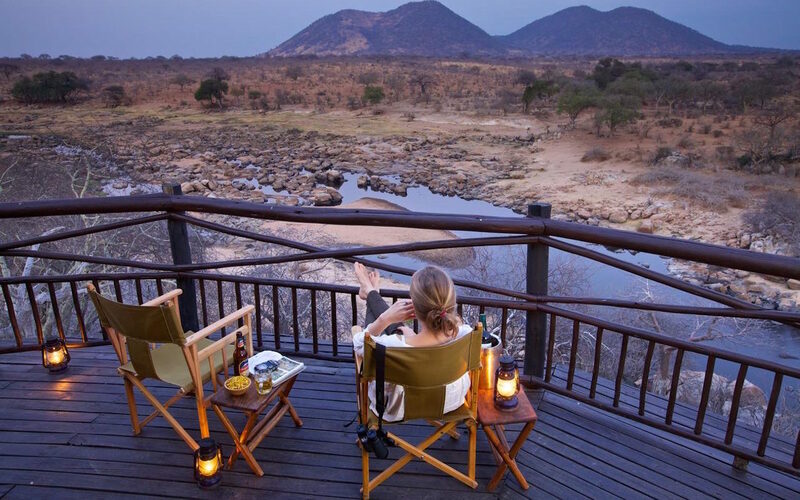 There are also many luxury tented camps that operate in the park like Kigelia, Jongomero, Mwangusi safari lodge, Kwihala , Old Mdonya River, and the fly catcher as well as Ruaha River Lodge. These are also privately owned facilities. The facilities that are found outside the park include; Ruaha Hilltop Lodge, Sunset Lodge, Tandala Tented Camp and many more.